With 10” side at top, remove 2 top panels on left and right sides to look like this. 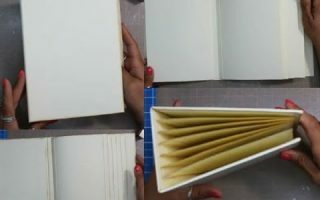 Then crease your score lines so that flaps go inwards. Take another piece of 5×7” card stock. Add glue to the 5” x 1 ½” flap only that is in the middle. 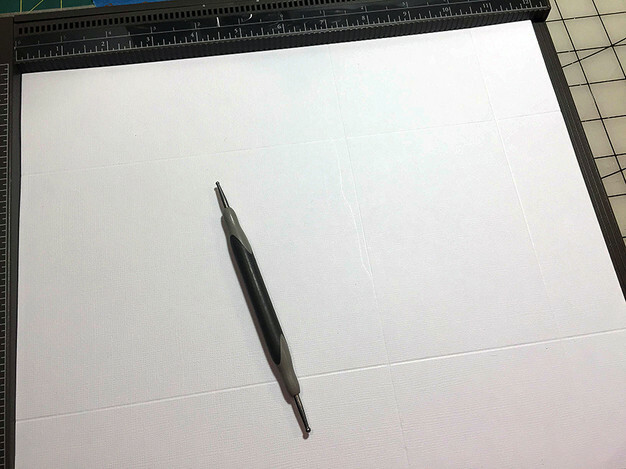 Lay the 5×7” panel on top of the center section, making sure the 5×7” lines up with top and bottom of the card. The only place this should be attached is on the 5 x 1 ½ piece, this will be the part that stands up. 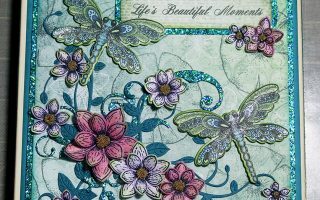 I used graphic 45’s Once Upon A Springtime paper collection for this card. Cut 2 panels that measure 2 ¼” x 6 ¾” each. 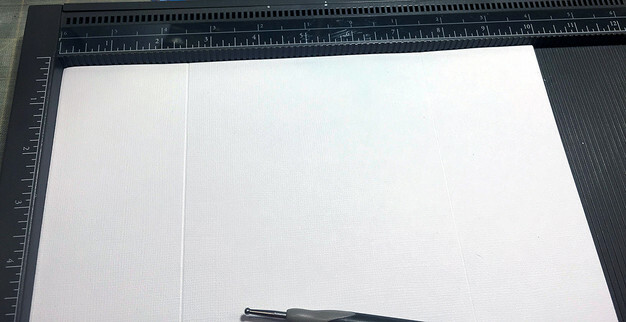 To make the pattern in the paper match you can start with one 4 ½” x 6 ¾”. Then cut in half. 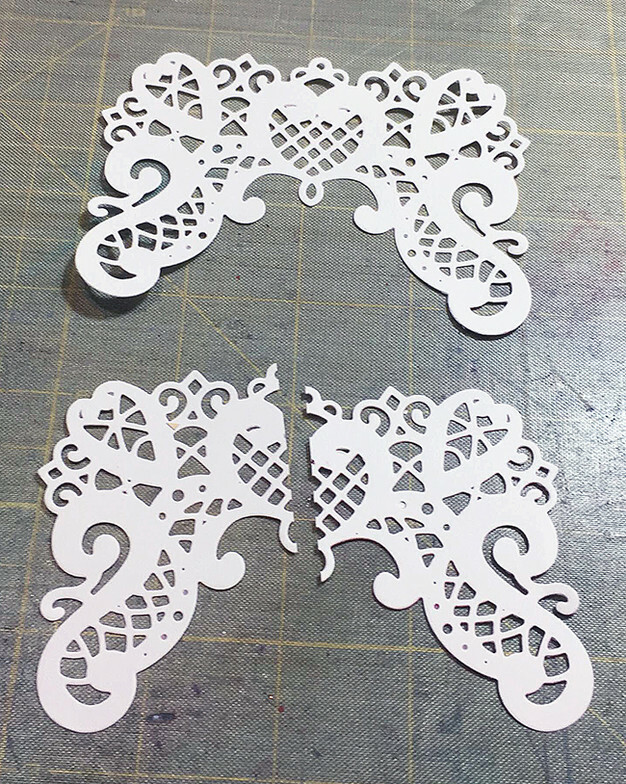 I also cut 2 of the heart shape lace from the Raindrops on Roses dies by Heartfelt Creations. I then cut both of these in half and glued them to the corners of the card. To finish off the front, I used a chipboard piece from the paper collection! A magnet isn’t necessary however as the card is meant to be displayed open. 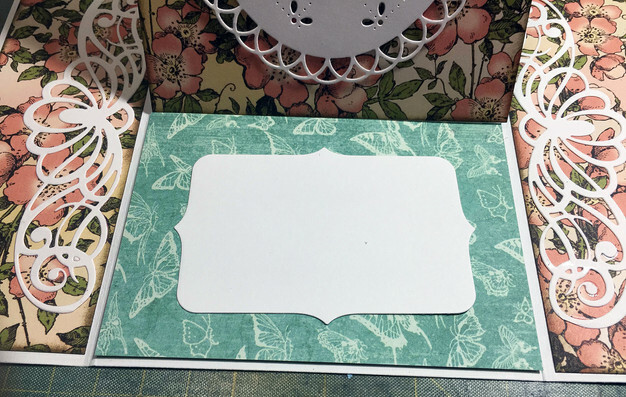 **If you do not like the way the card gaps in front, be sure to use a magnet under of the side panels and one on the back of the chipboard piece. 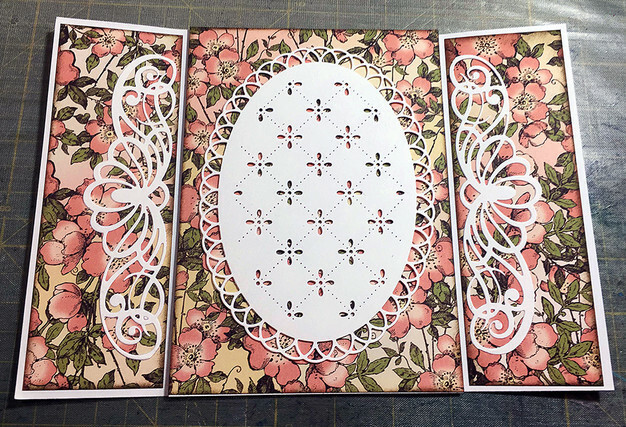 To dress up the easel of the card, I cut a piece of white cardstock using the eyelet oval die from Heartfelt Creations. 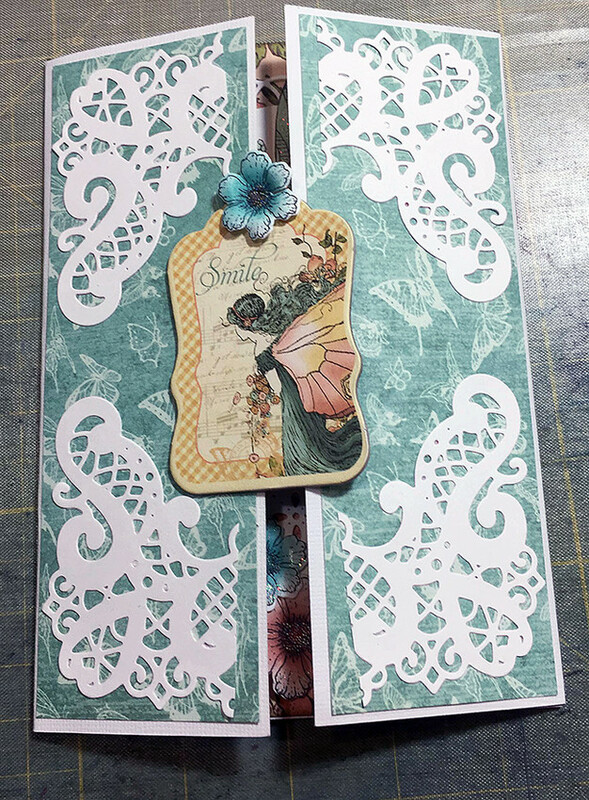 Then, I cut 2 pieces using a die from the regal borders and pockets die set from Heartfelt Creations. 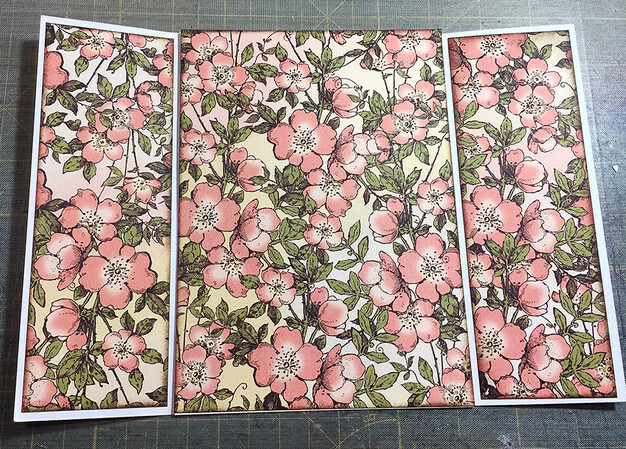 Next, I used a coordinating paper from the pack measure 4 ⅞” x 3 ½”. 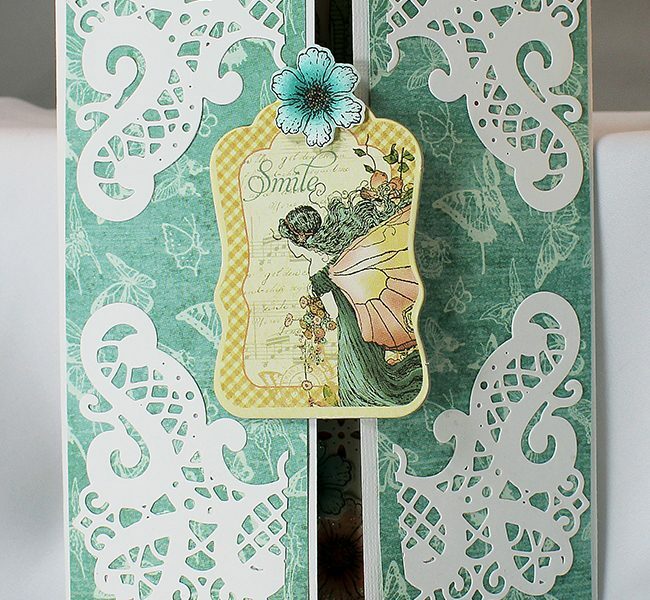 Then from white cardstock cut a piece using the fitted frames B from Stampendous for sentiment area. 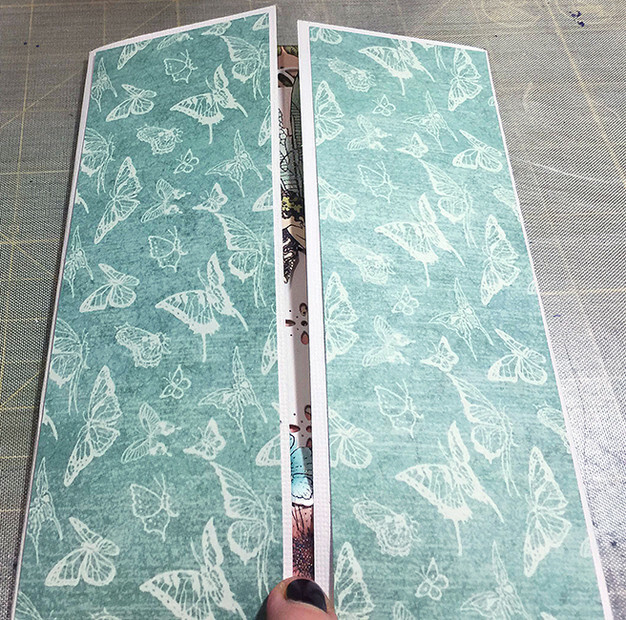 Cut two mats for the front of the flaps using coordinating paper from the collection. Cut two white pieces using the Heartfelt Creations Raindrops on Roses die set and cut them in half to decorate the front flaps. 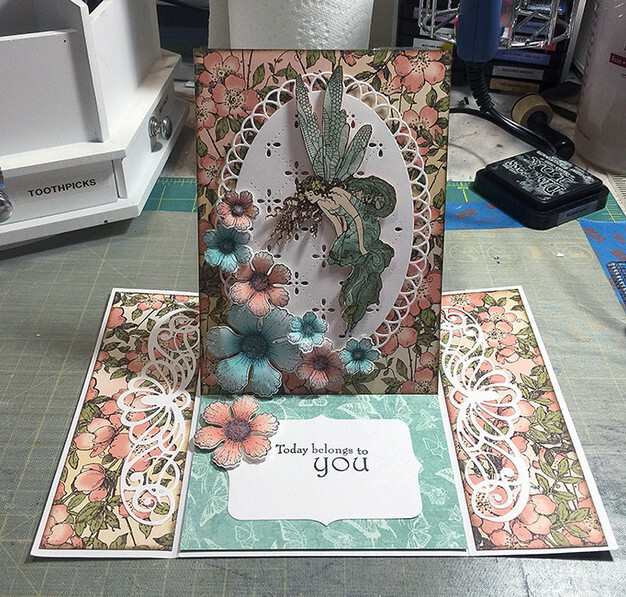 Use one of the chipboard pieces and a small flower from the Botanical Wings flowers made using the Heartfelt stamps and dies to make the center piece for the front of the card. 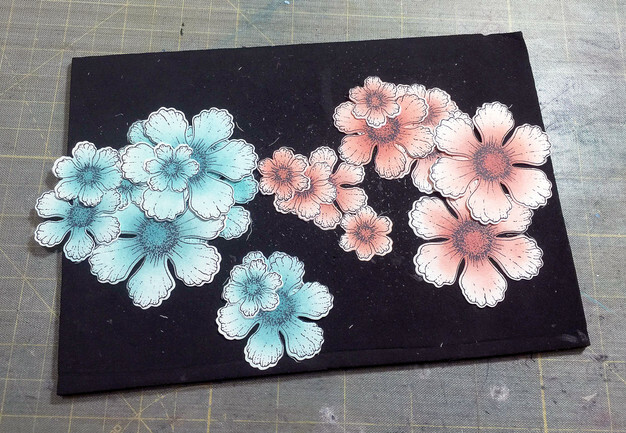 I cut out several sets of the flowers using both stamps and dies from Heartfelt Creations (botanical wings) and shaped them. 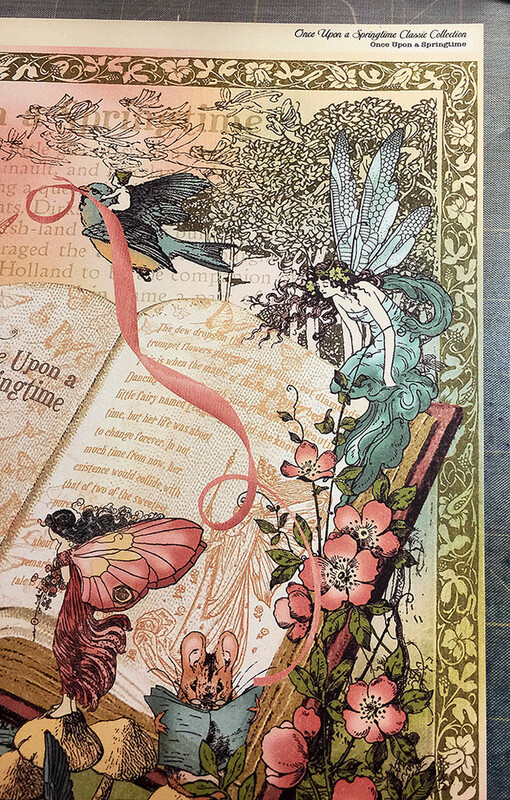 I cut the image of the fairy and placed her on pop dots to give her just a little dimension. Then, I arranged everything and glued it all down.